The US Government’s Power Africa initiative has funding for innovative African businesses and projects that are working towards increasing energy access among communities that are not connected to grid electricity. Power Africa, through the U.S. African Development Foundation, has opened the second round of its Off-Grid Energy Grant Challenge which will award a total of $1.8 million in Renewable Energy Grants to fully African-owned and managed enterprises, associations or organizations working at expanding clean energy access in Africa. Eligible applicants from Ethiopia, Ghana, Kenya, Liberia, Nigeria, and Tanzania will each receive $100,000 to develop, scale up or extend the use of proven technologies for off-grid energy use. Lighting Africa works with more than 30 manufacturers and distributors of affordable, modern solar lighting products to catalyze sustainable markets for clean lighting products across Africa. These products, which are replacing kerosene and other polluting fuel-powered lighting, are currently retailing in about 30 countries and transforming lives across the continent. The deadline for application of this second round of energy grants is June 30, 2014. 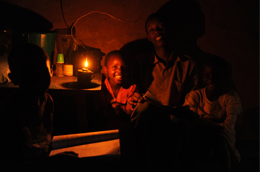 In its first phase, Power Africa is expected to increase electricity access by reaching at least 20 million new households and commercial entities with on-grid, mini-grid, and off-grid energy solutions. Power Africa is being undertaken in collaboration with General Electric (GE) Africa and USAID .